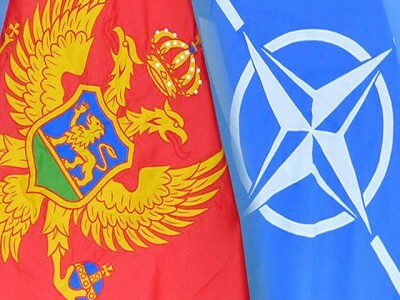 On December 2, Montenegro received an official invitation from NATO to join the alliance. While the government praised the initiative many in the country have strongly opposed it. A surge of anti-NATO protests has been held across the country since then. “The invitation from NATO to Montenegro was a big mistake,” Andrija Mandic, leader of the New Serb Democracy party, said in an interview with News Front. “The alliance knows that over 60 percent of the people in Montenegro are against the country joining the military bloc. Unfortunately, we have a government of puppets controlled by the West,” he added. According to the politician, the current situation is dangerous for Montenegro because the decision to join NATO will be passed by the parliament, without taking into account the will of the people. “Our party stands for a referendum in following all the necessary legal procedures. This is the only way to resolve the crisis,” Mandic pointed out. There are some people in Montenegro who support joining NATO and they are outnumbered, Mandic said. At the same time, there are those who want the country to form a military alliance with Russia, the politician said. The politician stressed that Montenegro should try to build friendly relations with Russia. The Montenegrin economy relies heavily on Russian tourists and investments from Russia. The government should keep this in mind and look to strengthen ties with Moscow, Mandic said.